Well today is the big day! I’m open! The room is now all set up with the fur blankets and calm lighting. It smells like peaches from the peach paraffin warming in its warmer. Been waiting out front in the salon, talking to clients and getting to know all the nice ladies who work here at Hair Infinity. 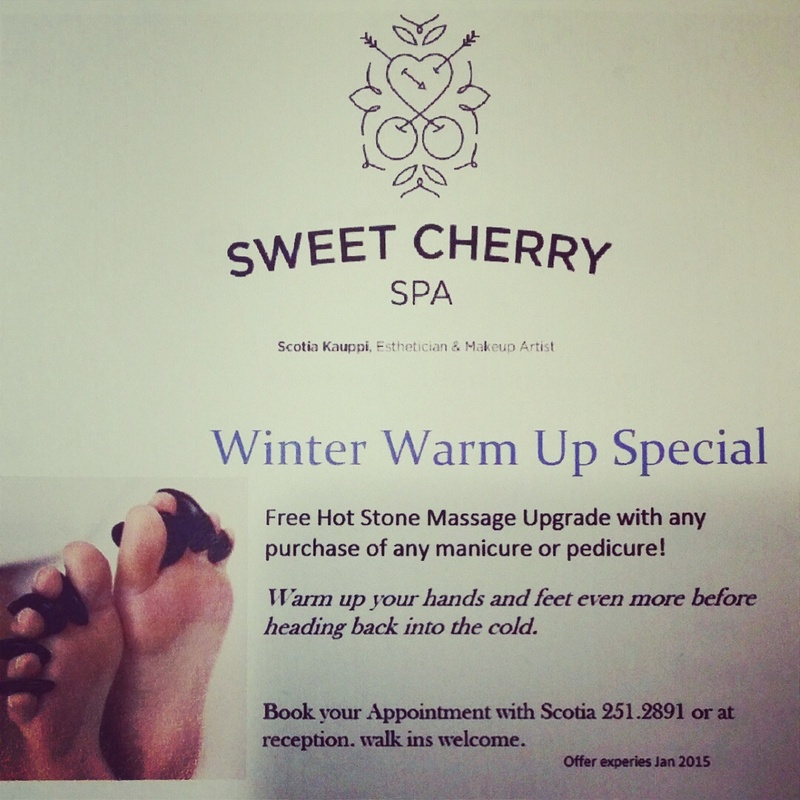 As a welcoming clients in from the cold and snow I am offering until jan 2015 a free hot stone massage with every manicure or pedicure. But there was also a mystery today. Frank and I don’t know what this is. We called around so far no answers and couldn’t find it on Google. 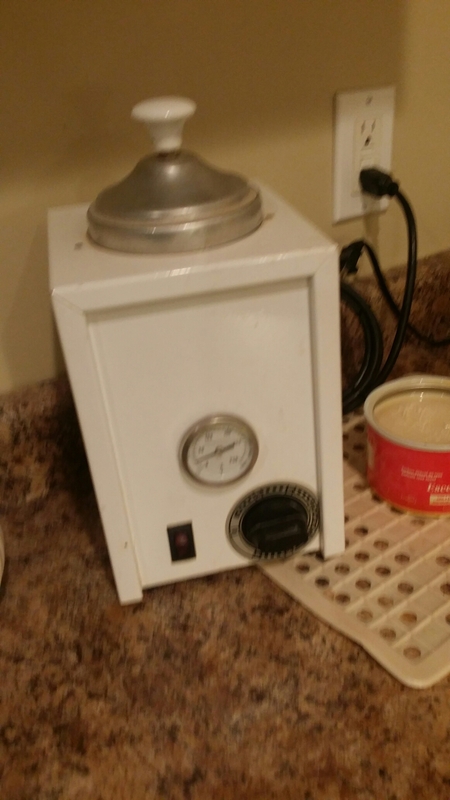 We know it’s not a auto clave because it’s not pressurized. It couldn’t be steam or heat sanitizer but it’s hard to tell. Anyone know??? Thank’s so much for joining me here! For those who are new, the previous blog is still up but that is more for my freelance makeup and special effects work. Feel free to check it out, follow and share it! There is some pretty cool stuff on there, but lots of zombies and not so sweet things. This site is dedicated to making your day sweet and beautiful. It is also the official site for my spa room; currently located within Hair Infinity on 500 Fredrica street. I look forward to sharing my new business expereiences with you, booking appointments and showing off those beauties!